1. Nationwide Auto Transportation is licensed and bonded by the FMCSA and agrees to arrange to have vehicle(s) as described in quotation shipped on or about the dates available, depending on the carriers’ or transport providers’ schedule. Nationwide Auto Transportation will designate a reliable carrier/transporter to fulfill the terms and conditions of the agreement. Nationwide Auto Transportation is a broker and does not guarantee specific pickup or delivery dates. Pickup and delivery dates are only estimates and there are no guarantees. Nationwide Auto Transportation will not be held responsible for delays for any reason after Nationwide Auto Transportation has confirmed scheduling with a reliable carrier/transporter. 2. 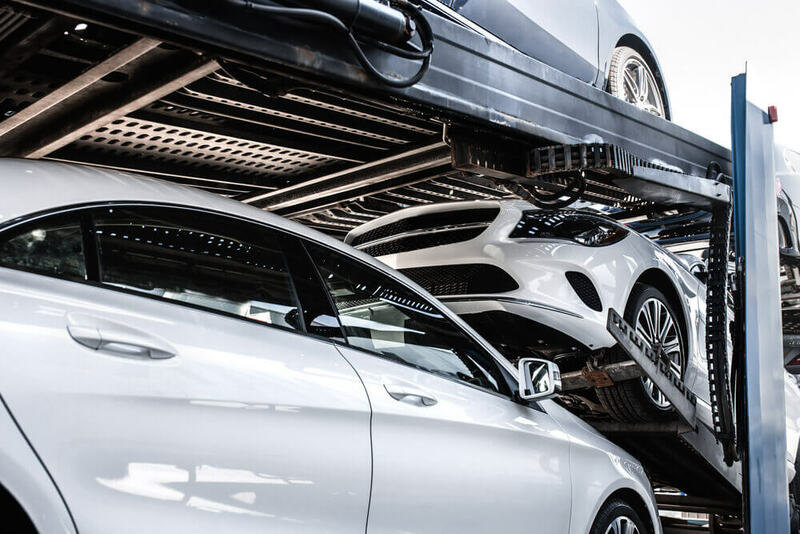 Each auto transportation order is subject to all terms and conditions of the carrier/transporters’ straight bill of lading, copies of which are available at the office of the carrier/transporter. Once a carrier/transporter has been assigned to your order, the bill of lading will then be the only agreement in effect, along with the terms and conditions of the carrier/transporter assigned to your order. 3. The carrier/transporter will not be responsible for any damages not resulting from carrier/transporter negligence. The customer verifies the vehicle is free of contents, including trunk. Nationwide Auto Transportation and the assigned carrier/transporter do not take any responsibility for personal items left inside vehicle. 4. The carrier/transporter will not be responsible for any damages caused by freezing of the engine, cooling system, batteries, or due to leaking fluids, etc. The carrier/transporter will not be responsible for any exhaust system, mufflers, tail pipes, or any mechanical function damage to include engine, transmission, rear end, drive trains, wiring systems, air bags, clutches, computerized components or any mechanical or electrical issues. The carrier/transporter will not be responsible for any convertible tops that are loose, torn, or have visible wear. This includes any canvas or material coverings. 5. The customer is responsible for preparing the vehicle for transport, which includes disarming any alarms, removing any loose parts, accessories, hanging spoilers, etc. Any part of the vehicle that falls off during transportation is the customer’s responsibility, as are any damages caused to any and all other vehicles involved. 6. No auto rental will be honored for delays, damage, accidents, acts of God, or for any other reason. 7. If a carrier/transporter is sent to acquire the vehicle and it is not there, is unavailable, has been moved, or cannot be picked up for any other reason, the customer authorizes Nationwide Auto Transportation to charge an additional $100 re-posting fee to your transport order to facilitate the re-posting of your order to our dispatch department for rescheduling, depending on the first available date given at the time the service order was placed. 8. The vehicle owner or customer must, in their absence, designate a person to act as their agent at the point of pickup or delivery. The designated person will be noted on the order form. Customer/Shipper can be notified for pickup within a minimum of 3-24 hours. 9. All vehicles to be delivered with a balance owing, shall be paid by CASH or CASHIER’S CHECK ONLY (U.S. Dollars) payable to the carrier/transporter. Should delivery be attempted after proper notification (3-24 hours voice notification to phone numbers provided by customer/shipper) and customer/shipper or his designated agent does not have proper funds or is unavailable to receive delivery, vehicle(s) will be delivered to the nearest terminal, where the responsible shipper will have to retrieve it after paying for storage or redelivery fees. It is the customer’s responsibility to have the full payment available when the carrier/transporter arrives. If carrier/transporter notices that he is unable to drive to the address at the time of delivery, the customer agrees to meet the carrier/transporter at a nearby location. The customer agrees that if the payment cannot be made by cash or cashier’s check, the vehicle will be stored at the customer’s expense. Should the customer be unable to accept delivery for any reason, the vehicle will be stored at the customer’s expense. 10. The customer agrees that should this vehicle become inoperative for any reason at pickup or during transport, a $150 non-operable fee will be levied to the customer at the time of delivery. 11. The carrier/transporter has primary insurance responsibility during transit of your vehicle. All claims will be settled at actual cost. All claims are to be made to the actual carrier/transporter who transported your vehicle(s). Refer to the carrier/transporters bill of lading for information regarding the claims process. The customer agrees that this is the only contract between the parties covering the arrangement of transport and no other agreements or contracts are in effect until arrangement of scheduling has been made with an authorized carrier. At this time, the carrier/transporter’s contract and bill of lading will take immediate effect. No claims or legal action of any kind may be initiated against the transport broker. All claims for damage must be made to the carrier/transporter. 12. Exceptions for damages must be noted on the post-transport inspection form at the time of delivery. No claim for damages not documented on the post-trip inspection form will be honored. 13. All claims, litigation, or legal action must have a right of venue in the state of Colorado, County of Denver, in the Superior Court. 14. You may cancel your order at anytime prior to the deposit payment. Cancellations must be made in writing by fax or email. If you cancel your transport prior to your vehicle(s) being assigned to a carrier, you will be entitled to a refund less administration fees. If your booked order is cancelled after it has been assigned to a carrier, there is a no refund for the deposit that has been paid. However, if in fact your vehicle is not scheduled for pickup within 5 days from your first available date, you are entitled to a full refund of your deposit. 15. Nationwide Auto Transportation reserves the right to refuse service to anyone who violates any of the terms and conditions written above, or for any other reason we feel necessary. Threats, harassment, etc. will result in immediate cancellation of your service order. The administrative fee will not be refunded as we have actively worked on your order. Only the remainder of your deposit will be refunded.